Currently the eighth largest ETF provider in the world, WisdomTree Investments has now set its sights on becoming a market leader in the Great White North. 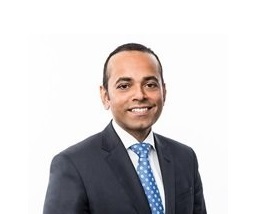 The firm launched its Canadian arm of the business in April and quickly installed former Fiera Capital VP Raj Lala as its head of operations. Formally the president and CEO at Propel Capital Corporation, the new head of WisdomTree Canada has a wealth of experience in the fund industry, but will now be concentrating his efforts strictly on exchange-traded funds heading forward. Wisdom Tree launched its first suite of ETFs in this country last week. Trading on the TSX, the six funds are the first step for the company as it attempts to extend its reach in the ETF space in Canada. Leading that charge is Raj Lala.